Comedian, actor and presenter, Rob Brydon is to host this year’s AEO Excellence Awards, which showcases the amazing achievements from within the event industry. With Rob at the helm, the industry’s largest and most prestigious event of the year is set to raise the roof of the Grosvenor House Hotel, London on Friday 26th June. Rob first came to the public's attention in 2000 with the shows Marion and Geoff and Human Remains, winning British Comedy Awards for both. He has since become one of the most recognised and respected comedian’s and presenter’s on UK television. Brydon started out as a radio and television presenter for BBC Wales and is now on televisions across the nation on a weekly basis hosting and taking part in panel quiz shows such as Would I Lie To You?, QI, Have I Got News For You and The Big Fat Quiz of The Year. 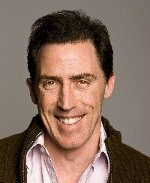 Brydon has also acted on stage and screen and is the voice of many animated characters in major films including The Legend of Treasure Island, Robbie The Reindeer, The Gruffalo and The Gruffalo’s Child. More recently Brydon has travelled through Italy with Steve Coogan for BBC2’s The Trip. The AEO Excellence Awards recognises and celebrates organisers’ achievements, standards of excellence from venues and service quality by suppliers and contractors throughout the industry.